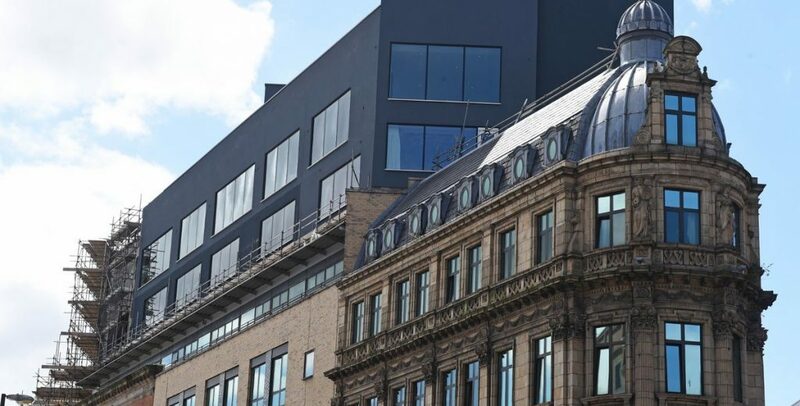 Plans for a huge roof bar, even though only a temporary structure, have caused uproar in London while a far more intrusive and permanent structure was waved through by Liverpool’s planning department and committee. Meanwhile in Liverpool the owners of the Shankly Hotel have stated that there was ‘extensive consultation’ with Historic England about the extension they built in Liverpool’s UNESCO World Heritage Site. Why is there one standard for design in London and clearly another in Liverpool? Many people in the city find the extension pictured in the image on the roof of the former Millennium House truly shocking and inexplicable for the WHS. Others have said that it makes it more important than ever that the city retains UNESCO WHS status because Liverpool’s authorities cannot be trusted with the conservation and protection of the city’s architectural heritage. A survey in the Echo reflecting how residents feel about what has been called a blight on the Liverpool cityscape found that almost 70% of respondents were not in favour of what the Council had approved. More information can be found here: The Echo 17.01.18 and Liverpool Confidential 19.07 17 Also an item about this building being listed for the Carbuncle Cup on Sky News 29.08.18 website.